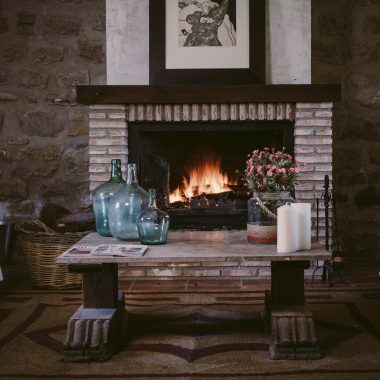 Experience the authentic Andalusian way of living in this “cortijo” surrounded by olive groves and fruit trees in Jaén. “Cortijo” is the name given to the traditional country houses in Andalucia. 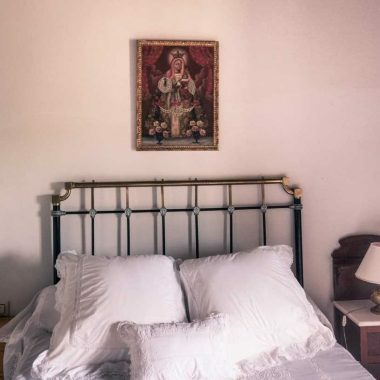 With capacity for 12 people, Cortijo Montano is a full rental villa in Begijar, Jaén, with 6 double rooms, 3 bathrooms, 2 living rooms with fireplace, 1 fully equipped kitchen, garden and private swimming pool. The house is just a small part of the entire property, where the river Guadalquivir passes through and which is spread across 12 hectares, and completely covered with fruit, palm and olive trees, and “tarays”. 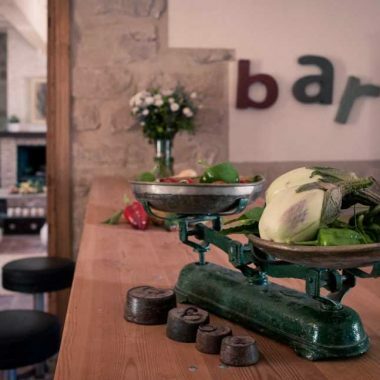 The house with capacity for 12 people has five double rooms, one single room, three bathrooms, one fully equipped kitchen and a garden with swimming pool. A litte piece of Seville. Disney Inspired Wrought Iron Bed. Andalucía has its own character, even within Spain itself. 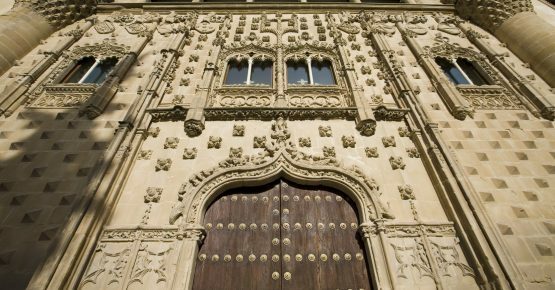 But maybe, between the eight provinces that form Andalucia, Jaén is the most unknown and unexplored one. world)… This is only a little starter of what you will find if you decide to visit us. You can take a walk along the river Guadalquivir; along the way you will see varieties of the olive trees from different parts of the world; you’ll find benches where you can relax or hammocks tied to trees to take a siesta during the summer evenings. We want to share our orchard with you. Not only to prepare your meals using our home-grown products, but also for you to take home our fruits and vegetables (in season). 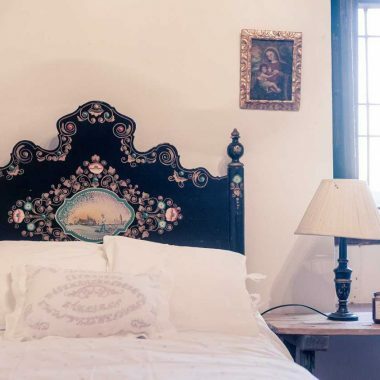 We want to make you feel like where we are, and this is why the decoration of Cortijo Montano is so Andalusian, with some contemporary and exotic touches and memories of our trips all over the world. Our goal is to create a warm and cozy ambience. 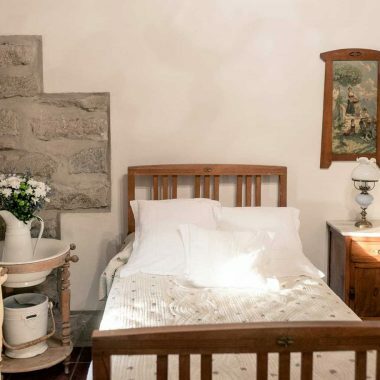 This is why we leave the materials in sight (stone walls, wooden beams, craftswomen bars…) and all the furniture has been recovered by our family or bought at flea markets. In fall and winter, our living rooms with fireplace invite you to hide under a blanket, chat with friends or play board games. 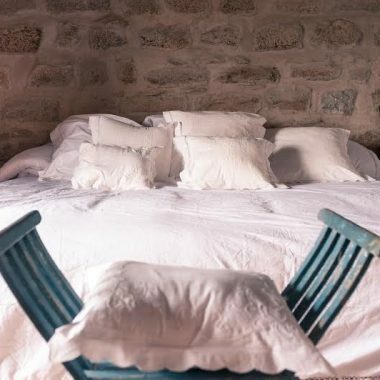 In spring, there is nothing like a nap among the blossoming almond trees, pomegranates and quinces or bike rides. Summer is time to live, to enjoy a barbecue on the terrace or read a great novel. Do not miss the view of “Lorenzo” (the way we call the sun in Spain) hiding among the silvery olive trees while you take a dip in the afternoon. Cortijo Montano is a very special place with all the charm of a typical andalusian cortijo. 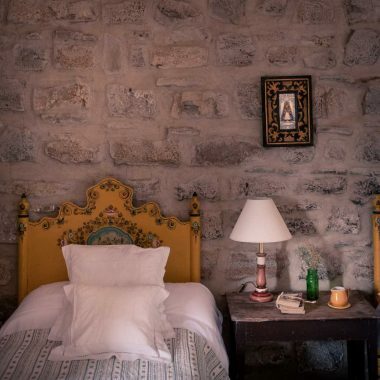 We liked specially the rustic vintage style of the rooms and the quiet beauty of the surroundings. 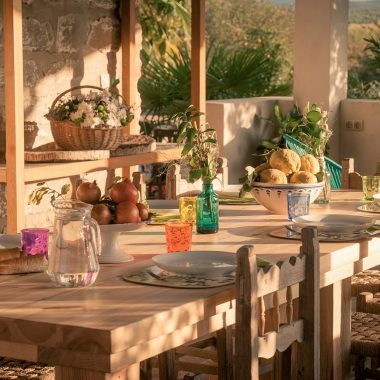 It's in the middle of an olive grove, so you can have your breakfast in the garden and the only thing that you see in the horizon is trees and blue sky. Thank you Arancha for such a lovely weekend! Cortijo Montano is a unique typical country house in the middle of a sea of olive trees. 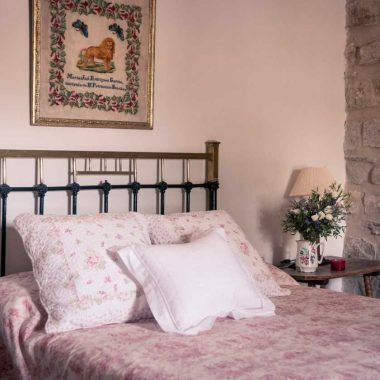 It is perfect for a relaxing stay either with friends, family or both. The house is really nice, clean and comfortable. I hope we will be back soon! We spent recently a lovely weekend with a group of friends with kids. Wonderful experience. Arantxa was the perfect host, helpful and always reachable. We will definitely return!! Peaceful and charming countryside house, recently refurbished, equipped with all the luxury amenities and tastefully decorated. Beautiful scenery and warm hosts. We really enjoyed the house and the surroundings very much. We will definitely come back! Ideal to enjoy a relaxing holiday with the plus that you are 5 minutes away by car from Úbeda and Baeza, two of the most beautiful towns in the country. We will came back. Definitely. Slow down and discover the real andalusian culture with us. 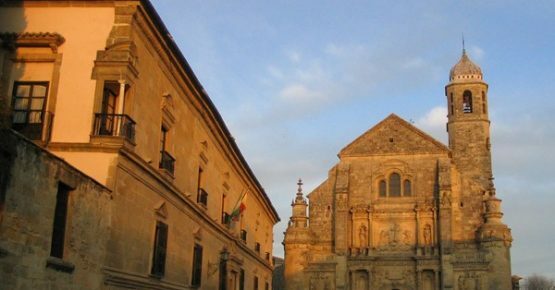 Only 18 and 20 kilometres from the two World Heritage Cities by UNESCO, Úbeda and Baeza, Cortijo Montano is the best hub to meet Andalusian Renaissance: ancient palaces, chapels and mausoleums, squares, walls, patios and also the only sculpture by Michelangelo in Spain. We propose a private tour around the two cities. Contact us for details. 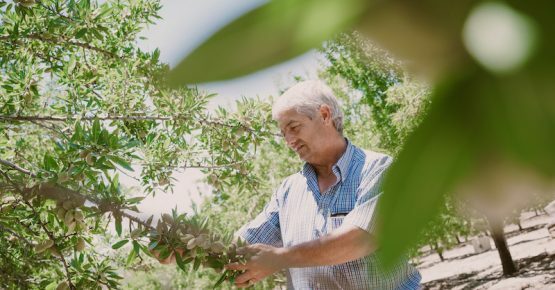 The province of Jaén is the largest producer of extra-virgin olive oil in the world. Cornerstone of the Mediterranean diet, also considered World Heritage by UNESCO, here we say “that in olives, as in pigs, everything is used”. 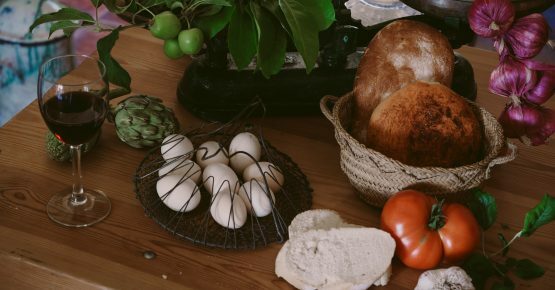 Learn all about it with this visit, that includes an oil mill and museum, a olive oil tasting, a workshop of soap and a lunch in the cortijo (barbecue). Born in the nearby ibero-roman city of Cástulo, princess Himilce became Hannibal Barca’s wife. Visit the archaeological site and watch her statue in the main square of Baeza and discover the fascinating story of the woman who conquered the heart of the Carthaginian statesman. Pork back cooked in a mud pot, lamb, tortilla de patata, gazpacho, migas…, all these recipes have something in common: the extra-virgin olive oil as a base, but, Do you know how to cook them?. We propose private cooking classes followed by a meal.